The statement ‘get your grade or your money back’ is quite a strong promise, and one that would certainly make this company one in your ‘wish list’ for when you need academic papers. However, there is very little feedback online, which is why we decided to take action and see what the company offers by evaluating their features and trying out the service. Read our ukessays.com review to find out what we learned. When we first opened the Services page, we got the impression that this company offers many papers, but this is not the case. As it turns out, ukessays.com has quite a limited list of services, separated into four categories: essay services, dissertation services, report services and other services. Unfortunately, when you gather all services, you don’t even get a list of the most popular academic papers. The offer here is very small, which means that this is not a place you can get all your papers from. Ukessays.com is probably the priciest writing service we have found on the market! We selected the lowest academic level and quality of paper to get an idea of the lowest rates offered here, and these rates are higher than the highest rates of other companies! 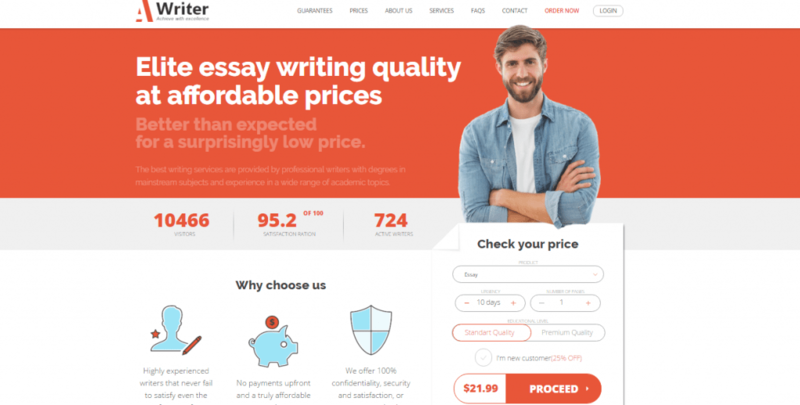 For example, an undergraduate level essay of lowest quality costs $161 for ½ a page (250 words) if ordered within a week, and $153 if ordered within 14 days. These prices are definitely the highest we have seen on the market, and the rates we mentioned only apply to 2:2 Undergraduate quality. If you want to order the same paper with the highest quality (75%+) and for a deadline of 2 weeks, you will have to pay $397 for 250 words! The worst part is, this company offers no discounts whatsoever. With such high rates and no discounts whatsoever, it is no wonder why this service is so unpopular among students. We still decided to give the service a shot, even though their rates were outrageous. We ordered a paper for the lowest academic level in order to get a better rate, but still paid over $300 for 500 words of content. Luckily, the quality of our paper was good, but it was certainly not worth that rate. We ordered a paper of undergraduate 2:1 quality, and got content that fit this percentage (60%-69%). For such a high rate, we did expect a much higher quality. Seeing that this is an extremely costly service, we expected nothing less than the best customer service. Unfortunately, we got an agent that took a lot of time to answer our questions, but still, she was quite a professional. Even the wealthiest student out there would think twice before accepting the rates this company offers, considering that there are many services online that offer the highest quality for a much lower price. Despite the fact that this company is prestigious and has a good customer service, the lack of services, discounts and extremely high prices makes us believe it is a bad choice for a content provider.